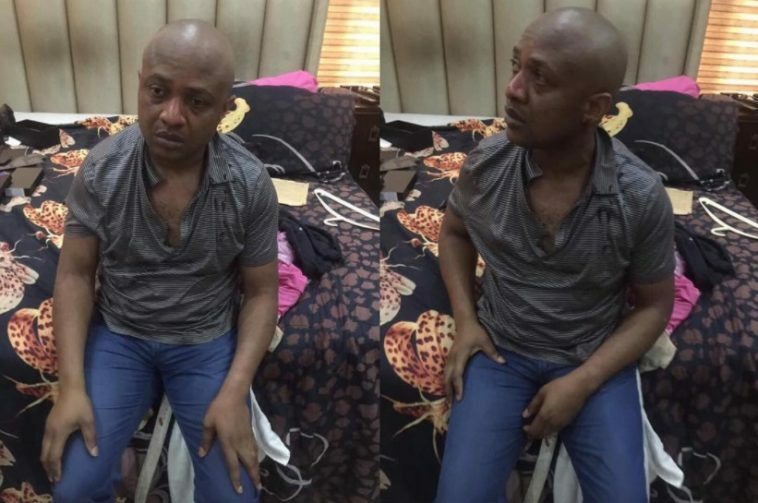 Barely 48 hours after the arrest of notorious kidnap kingpin, Chukwudi Onuamadike a.k.a Evans, in his palatial mansion in Lagos, police sources, yesterday, disclosed that the dreaded leader of the gang has started singing like a canary, naming high-profile accomplices. It was gathered that detectives investigating the case were kept busy, yesterday, taking him round Lagos, with a view to rounding up all those he had so far named. 15-man kidnap gang that had been terrorising Edo State and its environs, led by a dismissed soldier, Lance Corporal Samaila Madu. DSS also said it has made progress in tackling the spread of insurgents fleeing military operations in the North-East towards Kaduna and its environs. On the arrest of the kidnap don in Lagos, sources said some of the investigators left Lagos in the early hours in search of other named accomplices said to be outside Lagos, especially Edo, Umuahia, Aba, Onitsha and Nnewi, his home town, where he held sway for long until he relocated to Lagos. Efforts, according to sources, are also in top gear to locate his properties scattered all over the towns where he operated. Vanguard learned that they have also strengthened security around the kidnap kingpin based on intelligence reports that some of the high-profile accomplices are gearing up to find means of silencing their leader to stop him from exposing them. However, the sources assured that security around the suspects remains tight. “We have stern directives from Abuja, nobody will toy with these suspects, people that gave us sleepless nights for many years? “Do you know how happy we are after the arrest of, especially, their leader, Evans? We have directives to round up all suspected accomplices, whether high or low, and they all will go for it,” the sources said. Meanwhile, more details emerged, yesterday, on how the gang leader, Evans, was arrested. Police sources said the final operation that led to the big break started within the week after the Inspector-General of Police, Ibrahim Idris, detailed three special teams attached to his office to complement efforts of his Intelligence Response Team, led by ACP Abba Kyari, in the manhunt for Evans. Vanguard gathered that as soon as they arrived Lagos, intelligence reports indicated that the gang leader was relaxing in a location with a friend. “We swung into action using the new and sophisticated equipment provided by the IGP and we were able to locate his whereabouts later in the day around Magodo. But we had a problem locating the exact house where he was relaxing. ‘’Luckily, the report we had paid off after persistent search around the whole area and our leader accosted his security man who told us that our target was inside the building. As soon as the guard turned around to go and inform him, we broke into the compound only to see our target just stepping out from the building, thinking that his visitor was the Uber taxi driver he earlier called to come and take him to the airport. Meantime, residents of Festac, Amuwo-Odofin and environs went wild with jubilation after the parade of the kidnap kingpin was shown on television. Eyewitnesses said people trooped out into the streets praising God and the Police for the arrest of the kidnap kingpin who had terrorized them for long. Most of the celebrants openly called for prompt action on the part of the Police towards rounding up his accomplices, fearing that failure to do so would give them room to continue from where he stopped.